Candied pecans. Made with sugar and spice—specifically cinnamon and nutmeg—and everything nice, these sublime noshes are a must for holiday cocktail parties as well as for salads. 2. In a bowl, beat the egg white, vanilla, and water just until very frothy. In a separate bowl, combine the sugar, salt, cinnamon, and nutmeg. Add the pecans to the egg-white mixture and gently toss to coat. Transfer the nuts to the sugar mixture and toss to coat. 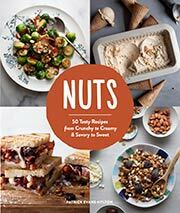 Spread the nuts evenly on the baking sheet. 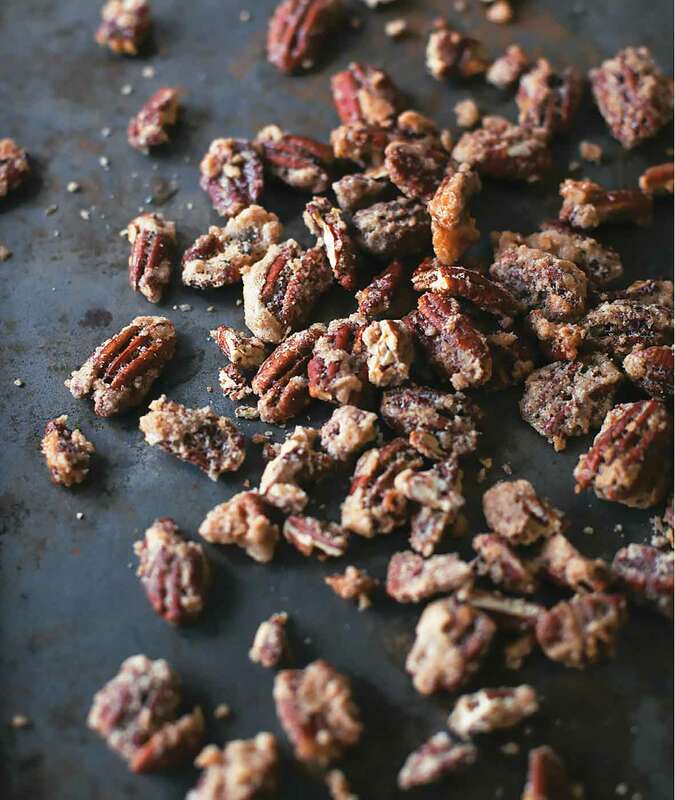 Candied Pecans Recipe © 2015 Patrick Evans-Hylton. Photo © 2015 Hilary McMullen. All rights reserved. All recipes and photos used with permission of the publisher.